This is the eighth competition to be held in Lexington! You do not need to check-in on the day of the competition, just show up for your events. We will not be serving lunch at this competition, however it is less than a 10-minute walk to Lexington center, where there are several great choices for lunch. Please remember that you will not be accepted onto the competitor list until you have paid your $12 registration fee. The base registration fee for this competition is $12 (United States Dollar). There will be a waiting list for this competition. If registration is full you can still sign up and pay to be put onto the waiting list, if someone drops out, then the first person on the list will be choosen to take their place. If you do not make it into the competition, a full refund will be given by April 20th. You will recieve a full refund if you cancel your registration. You are viewing the schedule for the venue Sacred Heart Parish Hall. In addition to reading over the regulations, we encourage new cubers to watch this video, just to learn the basics of competing. This video will explain most of what any cuber competing for the first time will need to know. There is also this new written competitor tutorial from the WCA. A: Make sure you pay your entrance fee in order to be automatically placed on the registered list, which will also guarantee you a spot in the competition. If payment may be an issue, or you are not sure if you can attend, use the contact button to talk to us, and we can see if we can work out another payment strategy, or have you pay on arrival at the competition. No matter what your situation may be however, please register online. It is much easier for us to have you register now and pay later, then to have to input information at another time. A: OF COURSE! Cubing is amazing, and we sincerely hope you enjoy the competition! We will not be calling names, only groups. These groups will be emailed to competitors. You do not need to print out your group assignments as you will receive a printed copy of them at the start of the competition. They will be on a table as you walk in. Please only take your own. All competitors will also be required to help judge. The competitor tutorial at the beginning of the day will go over this as well. If you have any questions about the process, find any staff member and they will be happy to assist you. More experienced competitors may have scrambling duties in addition to or instead of judging. These assignments are posted with the groups as well. If you don't show up to help, we reserve the right to disqualify you from that event. If you show up to judge, and all of the judging stations are full, find an organizer or delegate and we will have you run or scramble depending on what needs help. If you wish to help for the full day, consider applying for staff in the staff tab. Live results will be posted to cubecomps, with an exact link posted closer to the competition. Here you can see round rankings to know if you have advanced to a later round. You can also see a personal page with all of your results for the competition. If you believe one of your results has been entered incorrectly, please come and find a staff member as soon as possible to make sure the correct people advance to subsequent rounds. If you do not wish to compete in an event that you signed up for, you do not need to notify us. Just don't show up for the round. If you wish to compete in an event that you did not sign up for, please come see us right before the round so we can create a scoring for you so that you can compete. - There is parking available at the venue. The venue is right next to the Massachuetts Ave @ Forest Street bus stop on the 62/76 Line. If you are interested in being full-time staff, please fill out the following application. 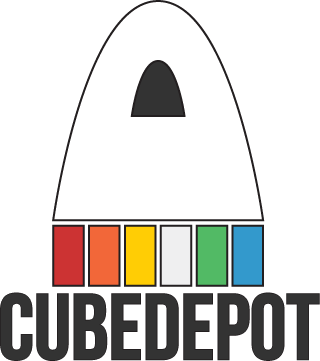 We are looking for experenced cubers who would be intrested in helping out all day. Staff decisions will be made on April 13th, and applications submitted after this date will be evaluated with on a rolling basis. Staff will need to register and pay for the competition, and will be refunded afterwards. Staff still must register and pay, and will be refunded after the competition. The competition is now full, however there is a waiting list. If you would like to be put on the waiting list, just register and pay for the competition, of a spot opens up, the first person on the waiting list will be chosen. If you are still on the waiting list after registration closes, you will be fully refunded.